The Nevada Association of Employers (NAE) has been an invaluable resource for Nevada employers since 1938. Our staff of HR professionals is equipped with the knowledge and experience to assist employers in navigating the often-complex world of employment-related statutes and regulations. Our team offers time-tested services and support for our members. In this article we discuss what types of businesses benefit from our services, the cost of our membership and the distinct services we offer our members not found elsewhere. NAE currently serves over 400 employers throughout the state of Nevada, and membership is constantly increasing. We serve businesses in manufacturing, energy, finance, service, non-profit, mining, and more. NAE supports businesses with as few as three employees and businesses with hundreds of employees. We provide benefits to Nevada businesses big and small, in a variety of industries, with differing needs and goals. Are you interested in becoming an NAE member? Our HR compliance gurus can help you stay compliant with all state and federal labor laws. We are Nevada’s number one resource for employers to keep their businesses running smoothly and their employees happy. Due to our 501(c)(6) status as a non-profit organization, we are able to service all your third-party HR needs at a fraction of the cost charged by for-profit companies. Click here to find our how much membership will cost for your business. Many businesses think that third-party HR requires costly subcontractors that need constant communication and oversight. This simply isn’t the case with NAE. We realize that many of our members have certain HR functions such as payroll completely under control. These same businesses may struggle with other HR functions such as employee handbook reviews or ensuring that all employees receive proper sexual harassment training. Members of NAE can approach our HR professionals with project help, training, general HR questions, industry-specific HR questions and everything in between. You can use our services as much or as little as you need. We understand that you and your business grow and develop, and your HR needs do the same. Following is a quick recap of the many benefits we offer to Nevada employers of all types. Unlimited access to our HR experts by phone and email to give you on-going and easily accessible support for your HR and employment-related questions and problems. The Nevada Association of Employers has partnered with a number of amazing firms across the state that will provide our members with credits, references, and other helpful tips and tricks that will help your organization save time and money. NAE’s HR professionals will review your employee handbook and suggest revisions as needed to ensure it is compliant with federal and state law. Members get access to NAE’s Model Employee Handbook, which is up to date with current state and federal regulations. NAE’s Model Employee Handbook is available for download from our Member Portal. All NAE member organizations receive one complimentary all-in-one labor law poster. All NAE member organizations can take advantage of our Poster Update Service for any all-in-one posters purchased from NAE. The Poster Update Service monitors changes that affect poster updates and free replacement posters when mandatory changes occur. NAE makes its training programs available to members and non-members alike, but membership with NAE brings you these training programs at a discounted price. NAE’s training programs include structured training series, webinars, on-site training, special events, and panel discussions on a variety of relevant and timely topics for Nevada businesses. 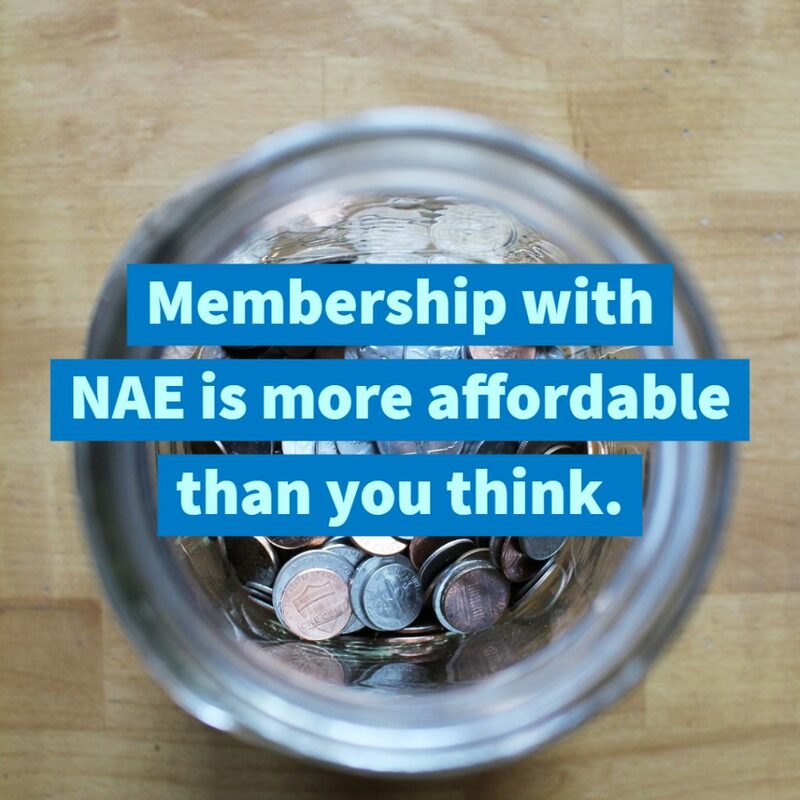 NAE also offers many free events as a benefit of membership with NAE. As a benefit of membership, the Nevada Association of Employers offers a Quick Pulse Survey to its members on an annual basis. NAE’s Quick Pulse Survey is a brief 5 question survey designed to measure employee satisfaction, productivity, and overall attitude about the company. The survey is 100% anonymous so your employees can provide honest feedback to you without worry. Extended employee opinion surveys are also available. Accurate data regarding employee pay and benefits is essential for recruiting and retaining quality employees. On an annual basis, NAE’s survey specialists conduct a survey of employers throughout the state to get up-to-date market data on how employers compensate their employees (i.e. the base rate of pay for each position) and what benefits are provided (i.e. bonuses, retirement savings, health insurance, paid time off, etc.). Members and survey participants receive a discounted rate on the survey results.